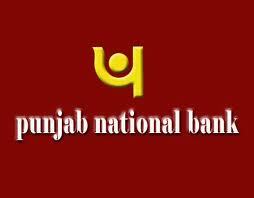 Punjab National Bank (PNB) has issued notification against recruitment of 2985 Single Window Operator- A Vacancies in Clerical Cadre. Indian citizens who have taken the Common Written Examination (CWE) for recruitment in Clerical cadre conducted by IBPS in Nov-Dec 2011 and who have a valid Score card are only eligible to apply. Age Limit: Candidates’ age must be between 20 years and 25 years. Cutoff date for determining age limit would be 01-08-2011. (Age relaxations will be as per Govt rules). Educational Qualification: Applicants must possess a Graduate in any discipline with 50% marks or equivalent qualification from the University/Institute recognized by the Govt. of India, working knowledge of MS Office and should have scored minimum cut off marks in the Common Written Examination conducted by IBPS and should be holding a valid score card issued by IBPS. Application Fee Details: Candidates must download the Cash Voucher from PNB official website and make the payment at any of the PNB branches. Amount of fee would be Rs. 100/- for General and OBC candidates and Rs. 20/- for SC/ST/PC/EXSM candidates. Selection Process: Selection of eligible candidates would be made on the basis of IBPS CWE score and Personal Interview. How to Apply: Eligible candidates need to apply only through Online mode from PNB website on or before 10-10-2012. After submission of application candidates can take a printout of the system generated on-line application form to be submitted at the time of the interview. The registration number and password generated should also be retained for future reference.